Haven’t heard of black rice? It’s not surprising really, it’s pretty rare compared to its brown and white relatives. Ancient Chinese lore claims that black rice was reserved solely for the Emperor and the Royal Family, due to its nutritional profile and healing abilities. Back in those days, if you were caught eating it without permission, your life was in jeopardy! Was the Emperor right when he decided to keep it all to himself? 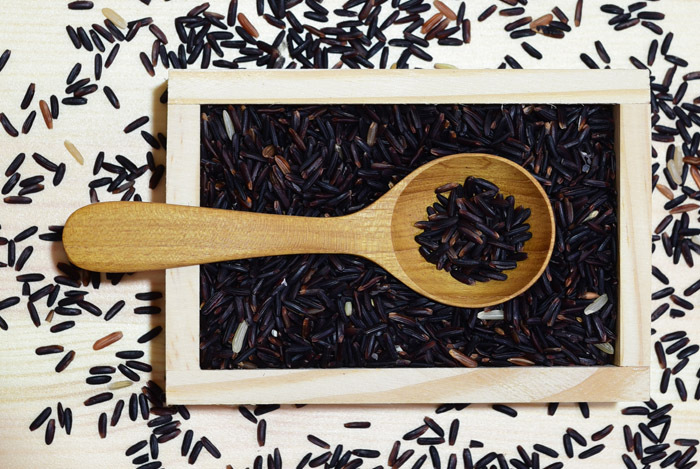 Is black rice worth tracking down for its healthful properties? White rice isn’t bad for you, but due to the hull being removed, it is lower in nutrients. Brown rice is a better option, with a higher fiber content. But can black rice beat it? Let’s compare that with brown and white rice. Brown rice has 170 calories, 45 g of carbs and 4 g of protein, while white rice has 180 calories, 53 g carbs and 3 g protein. As you can see, black rice is very similar to the other kinds of rice in terms of macronutrition. But, where it takes the lead is in its micronutrient content. Where black rice really puts itself ahead of either brown or white rice is when it comes to its antioxidant content. 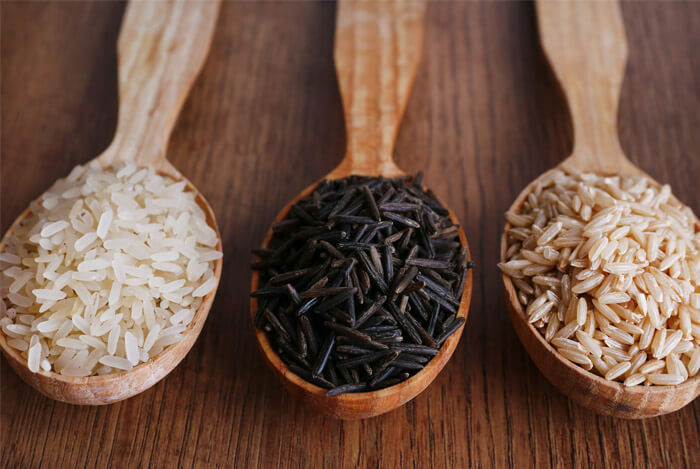 An analysis of 12 different varieties of rice found that the antioxidant content of black rice was about six times higher than brown or white rice. Another study found similar results. While inflammation is a healthy bodily response to foreign bacteria and viruses, sometimes inflammation can get out of control, which is most definitely not a good thing! Researchers from the University of Suwon in South Korea carried out animal tests on both black rice bran and brown rice bran for their effectiveness against skin inflammation. While the brown rice bran didn’t suppress inflammation, the black rice bran did! 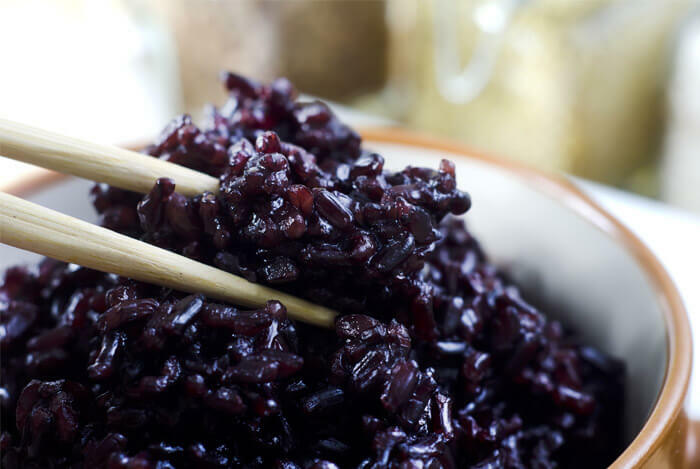 This led the researchers to suggest that black rice may be a useful ‘therapeutic agent for the treatment and prevention of diseases associated with chronic inflammation’. Another study, published in the Journal of International Immunopharmacology, found that the main constituent of black rice (C3G) is highly effective at suppressing inflammation in the body. 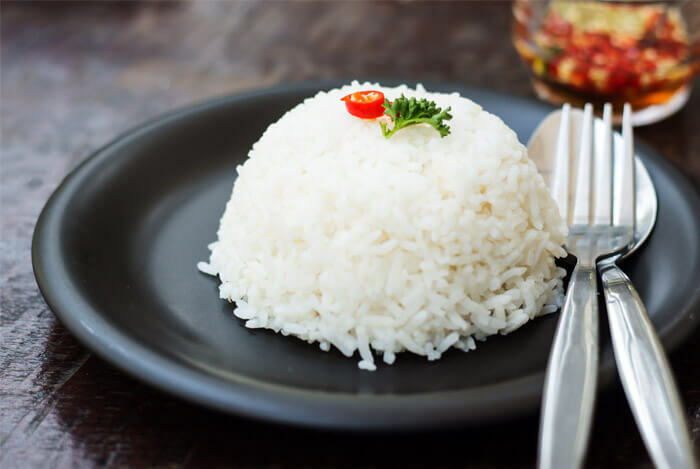 Of course, you won’t fight chronic inflammation by eating rice alone! Another supposed health benefit of black rice is helping people reach or maintain a healthy weight. I have to admit, when it comes to products making claims like this, I’m incredibly skeptical. There are just too many products on the market now that make the same claims. So does the science back up the claims about black rice and fat fighting? A 2008 study at the Department of Food and Nutrition at Hanyang University Korea, researchers divided 40 overweight adult women into two groups for a six week study. Of course, this is just one study. And it featured a mix of black and brown rice. However, this study (and many others) highlight the importance of fiber in maintaining a healthy weight. Because our bodies digest fiber slowly, high fiber foods keep us fuller for longer, preventing hunger, and cravings. It goes without saying that keeping a healthy heart is vital for overall health. The Centers for Disease Control and Prevention states that heart disease is the leading cause of death in the US for both men and women, accounting for one in every four deaths. 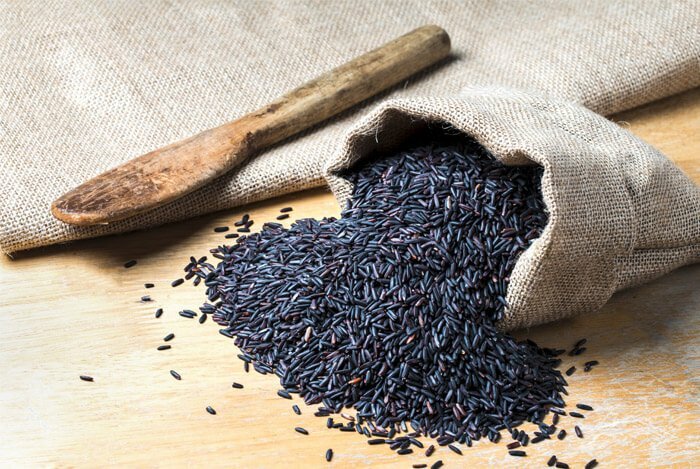 Can black rice play a role in a healthier heart? Some studies seem to suggest it can. One such study, featured in the Journal of Nutrition, found that black rice decreases atherosclerotic plaque in the arteries. When this plaque builds up, it causes the arteries to harden and become blocked. 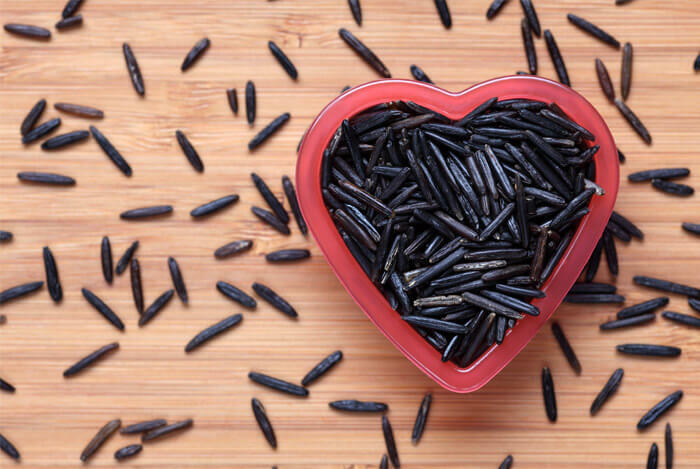 That’s a highly artificial situation, but it does indicate black rice might help protect your heart and arteries. The liver is one of our biggest organs, responsible for processing many nutrients from our food into materials that our body can use and regulating hormones. 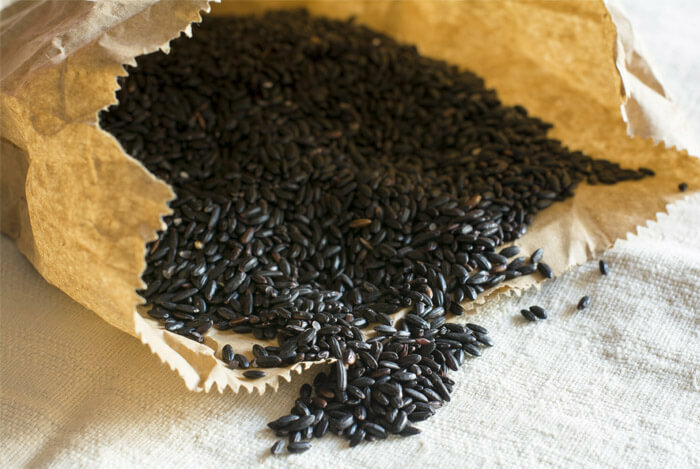 According to some studies, black rice can play a role in liver health. In 2012, the journal Nutrition & Metabolism published a study that examined the effects of black rice extract on non-alcoholic fatty liver disease. This common condition, which affects up to 90 million Americans (even children! ), happens when fatty deposits form on the liver. Mice with fatty liver disease were fed either a normal fat diet, high fat diet, or a high fat diet supplemented with black rice extract. After seven weeks, it was found that those mice fed the diet with black rice had improved blood lipid levels and significantly lower levels of triglycerides and total cholesterol than the others. From this work, researchers were led to believe that black rice may play a role in preventing fatty liver disease. It’s a bit early to go that far, but it could help you maintain a healthy weight as part of a healthy diet. Maintaining a healthy weight is the most important thing you can do to avoid fatty liver disease. While I didn’t come across any studies that specifically looked at the effects of black rice on memory and learning, there are plenty that link antioxidants, in particular anthocyanin, with brain function. 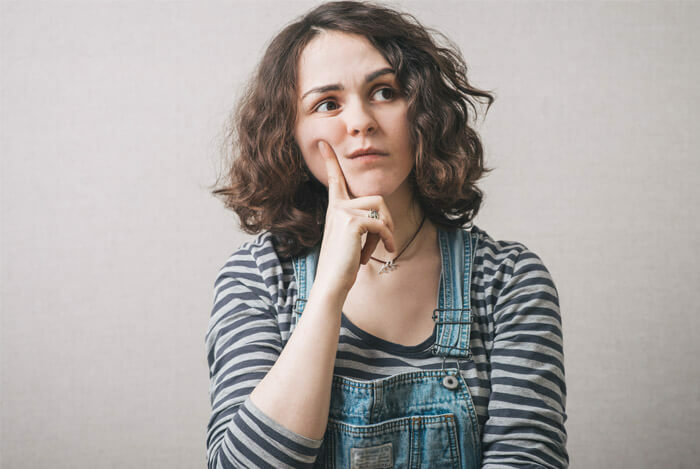 Some researchers believe oxidative stress contributes to memory impairment, so it makes sense that antioxidants will counteract this to an extent. A six year study of over 16,000 patients found that eating anthocyanin-rich foods can delay mental aging by up to two and a half years. The results also showed that even greater intakes of anthocyanins and other flavonoids were associated with even slower rates of cognitive decline. This particular group of antioxidants don’t just slow down the mental aging process, they can also help boost learning and memory. A 2009 study on rats showed that those treated with anthocyanins displayed improved learning and memory functions, over those that didn’t consume any anthocyanins. Like I said, these studies don’t specifically link black rice with improved cognitive function, but there are some studies out there linking the main antioxidant in black rice with better memory. Anthocyanins, like other antioxidants, help protect the body from free-radical damage, which can lead to cancer. The Journal Chemico-Biological Interactions published a study that looked at the ability of black rice anthocyanins to stop tumor metastasis, the spread of cancer to other parts of the body. This spread is a significant source of cancer death so scientists are constantly looking at ways to stop this from happening. It was found in this particular study that the anthocyanins extracted from black rice showed a ‘marked inhibition’ on the spread of certain cancer cells. A more recent study, from 2014, has also indicated that black rice anthocyanins have the potential to stop tumor metastasis in breast cancer cells. Other studies show black rice’s ability to fight breast cancer by causing the cancer cells to die. While these studies show that black rice shows some promise in preventing the spread of cancer, it’s not by any means a cure. Much more research needs to be carried out in this area. Black rice certainly appears to have some health benefits, number one of those being its antioxidant content. The antioxidant value of this rice doesn’t seem to be in dispute. Other health effects of black rice, like its weight loss and anti-cancer claims, need a lot more investigation before we can say for sure if it works in these areas. It also has a unique nutty flavor that I love! So if you like rice and you like the sound of these health benefits, then by all means try some of this ‘forbidden rice’. Just remember, it’s not a ‘miracle cure’ for anything! 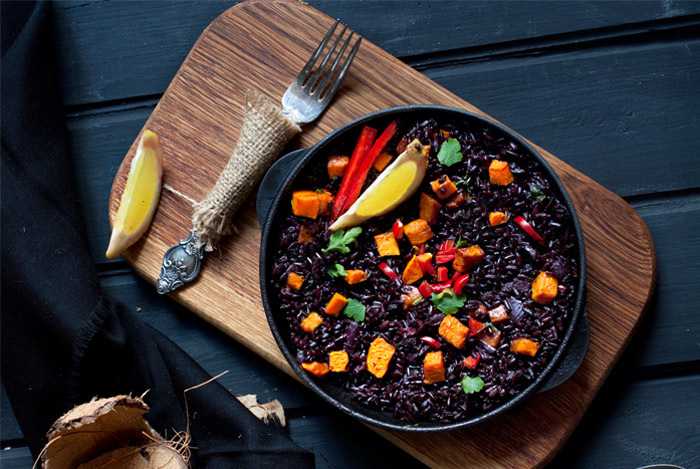 What’s your take on the benefits of black rice? Have anything else you’d like to share? Let me know in the comments below!